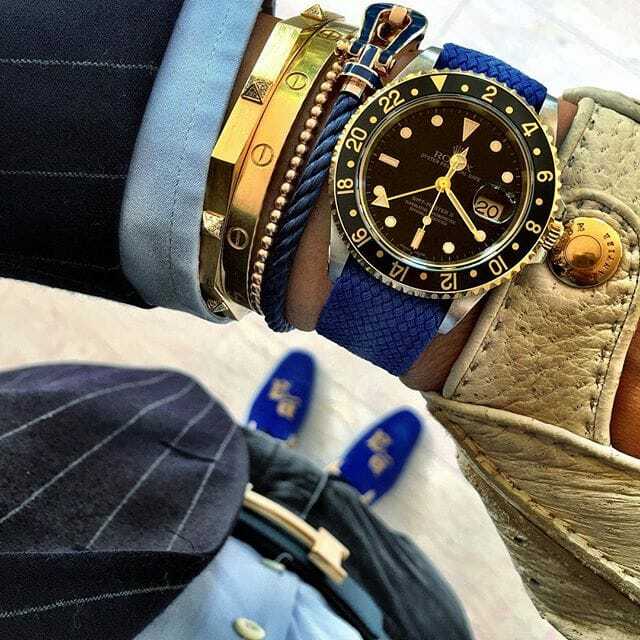 A stylish Rolex watch is perfectly capable of sitting on a wrist by itself and will always look ever so cool. But sometimes we just want to up our wrist game and that’s where the fun begins. Accenting a watch by surrounding it with bangles, bracelets, wraps, and cords is a great way to add your own personal style and to distinguish your watch from someone else’s. 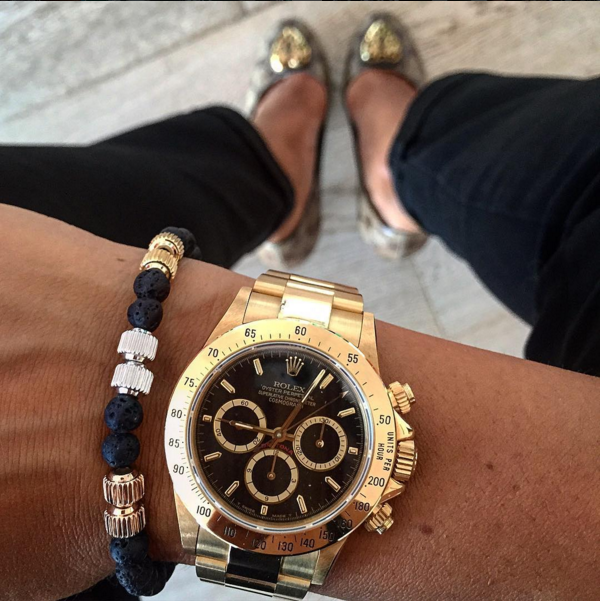 Personally, my Rolex almost never sits alone as I usually frame it with additional luxurious jewelry depending on the watch. I usually opt for a mix of metals, various shapes, a colored leather cord, or colored beads and sometimes I throw in some diamonds for good measure. Swapping up the jewelry is an easy way to transform the look of the watch without actually changing the watch, keeping boredom at bay. It’s especially fun when you match your accessories to other elements of your outfit, such as handbags, shoes, and belts — a great style hack if I’ve ever heard one! 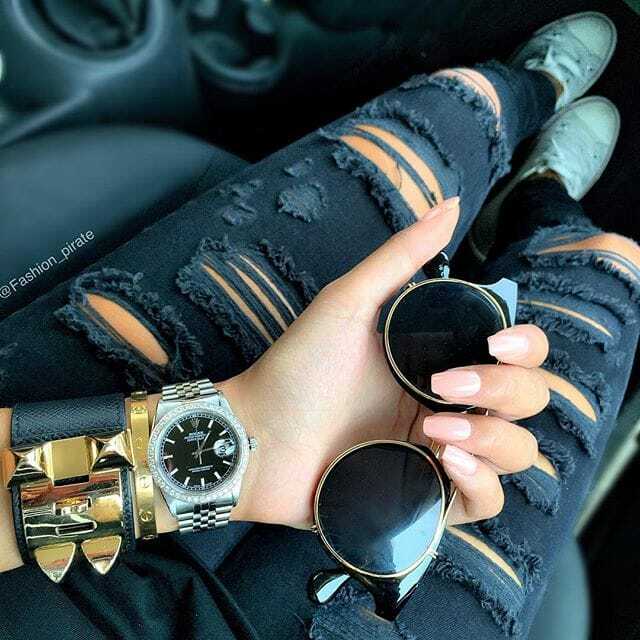 @fashion_pirate’s wristgame is on point. Ladies have been doing this for ages. One look that immediately comes to mind is the classic diamond tennis bracelet taking its place crown-side of a wristwatch. A classic combo that is always pretty to look at and is particularly appropriate for a corporate setting or formal event. But today’s wrist fashion dictates a more-is-better attitude with flashy, intense, and bigger pieces trending all over the place, on and offline. A James Cameron from @wristmachine. Now, accessorizing one’s timepiece is not limited to the ladies. 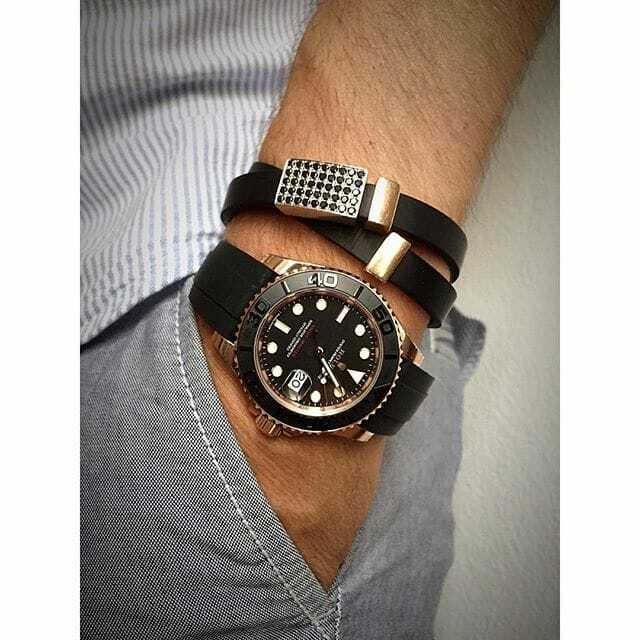 Gents are also getting on board with the wrist game and the options for them are dizzying. Metal bands, leather cords, colored beads, jeweled accents, skulls, and anchors — the choices are endless and specialized purveyors are popping up all over the place, ready to meet the growing demand. For the men, the additional swag tends to look better with larger and sportier Rolex pieces – Daytona, Submariners and Yachtmasters – but I’ve also seen it done nicely with more classic models, such as the Day-Date and Datejust. Plus, the variety of interchangeable watchstraps adds an even more interesting look with a mix bag of colors, patterns, and textures. 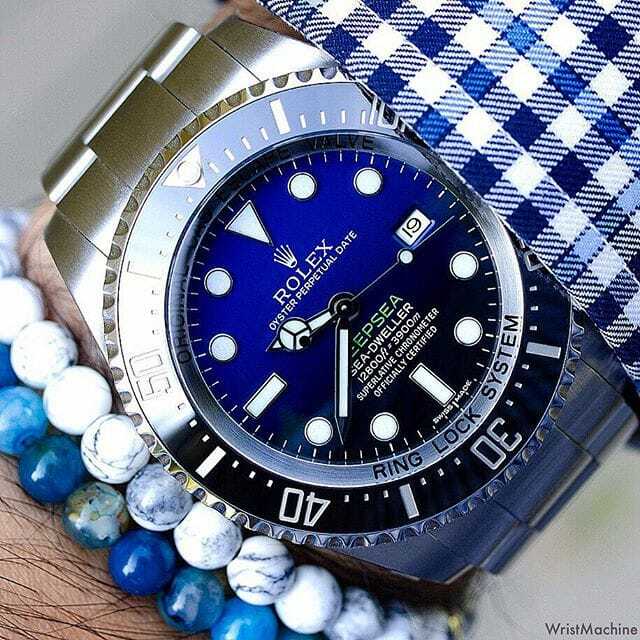 Whether you enjoy accessorizing your wrist with additional jewelry or keeping things simple with just the watch, Rolex will continue to be Rolex.Typing in the hashtag wristgame on Instagram will pull up a ton of gorgeously styled shots of men’s watches paired with the perfect accents. If you haven’t tried watch accessorizing yet, go for it — it’s a game-changer. Stack it on or pair your watch with a single strand, everything pretty much goes when playing the #wristgame.